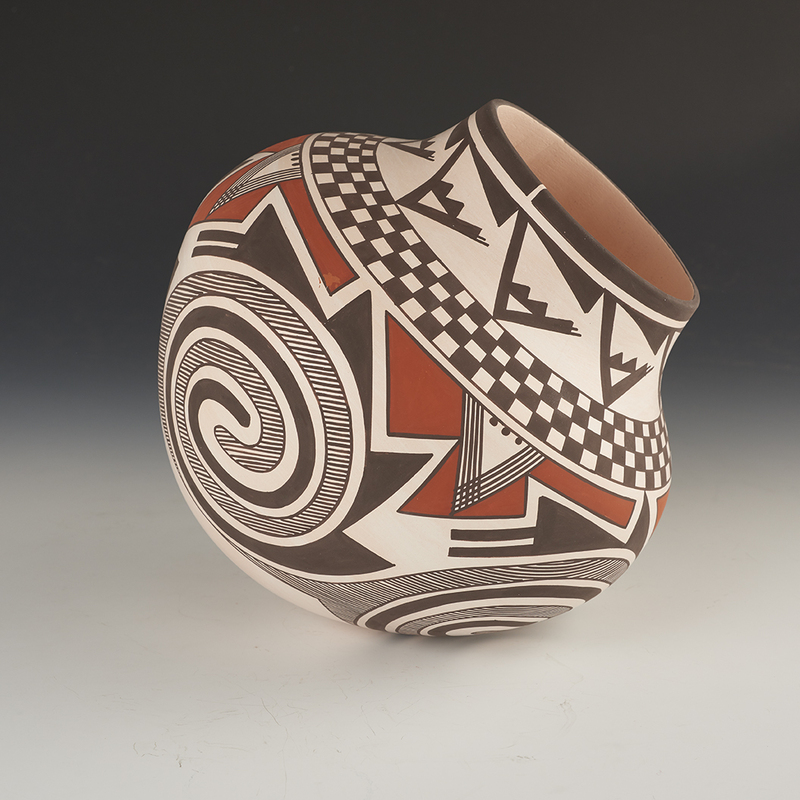 Laguna potter Myron Sarracino, most well-known for his traditional Tularosa designs, created this handmade and hand painted piece in his signature style. 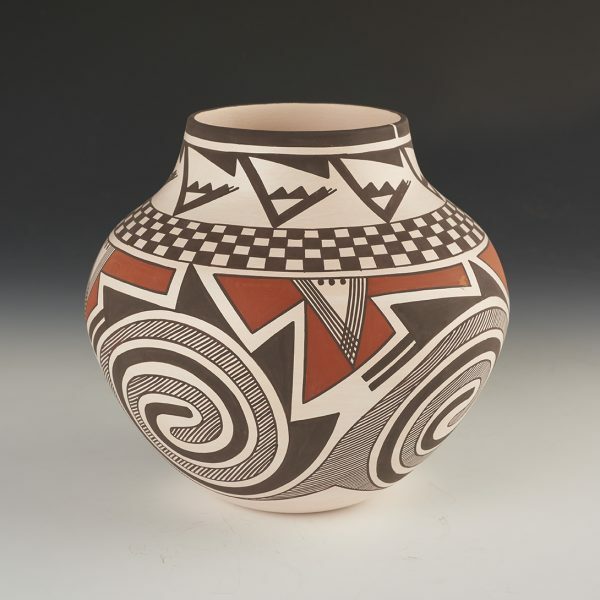 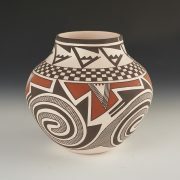 The jar showcases patterns in black, white and red, the most recognizable of which are four Tularosa patterns along the body of the piece below the inflection. 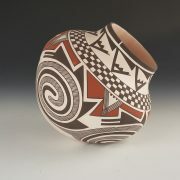 Each tularosa is surrounded by myriad of geometric designs, which often represent weather/water, as do the fine lines incorporated into each tularosa. 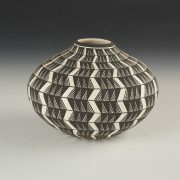 The inflection itself is painted with a checkerboard pattern, above which reoccurring weather patterns are painted in black long the rim. 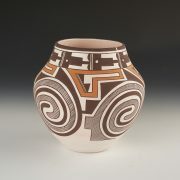 The jar is very near symmetrical, which is so difficult in a handmade piece.